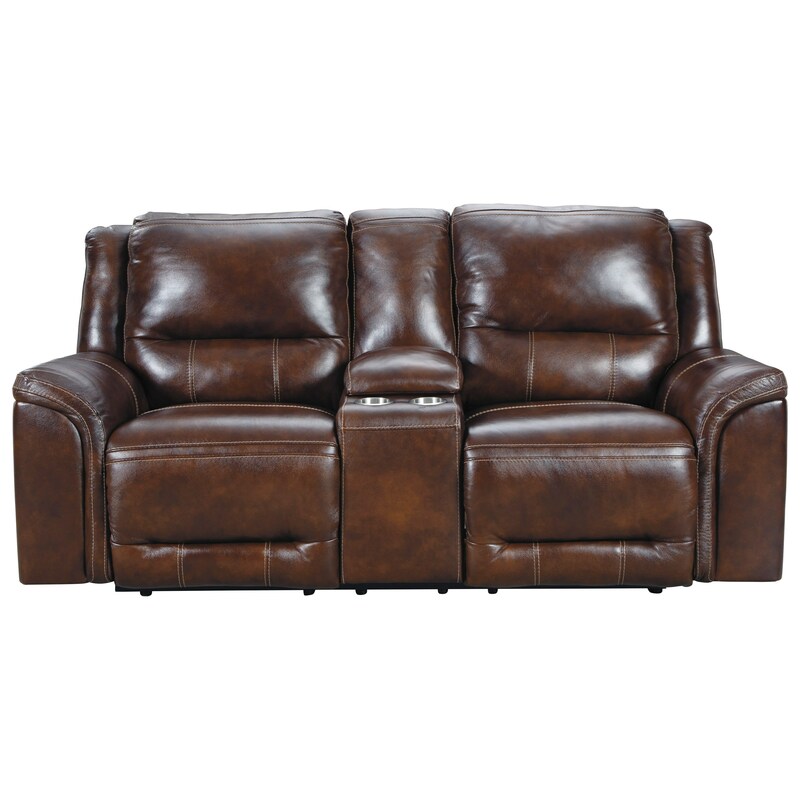 Sit back and enjoy your late night TV binging in total comfort with this power reclining loveseat. On top of having an adjustable headrests, this loveseat also features USB ports, ensuring your phone will always be ready for another episode. Jumbo decorative stitching adds style to this comfortable piece, allowing it to blend in with most any personal design style. The center console brings an extra touch of functionality, providing both storage space and cup holders. The Catanzaro Power Reclining Console Loveseat with USB Charging Port by Signature Design by Ashley at Miskelly Furniture in the Jackson, Pearl, Madison, Ridgeland, Flowood Mississippi area. Product availability may vary. Contact us for the most current availability on this product.